Tour the city with ease! 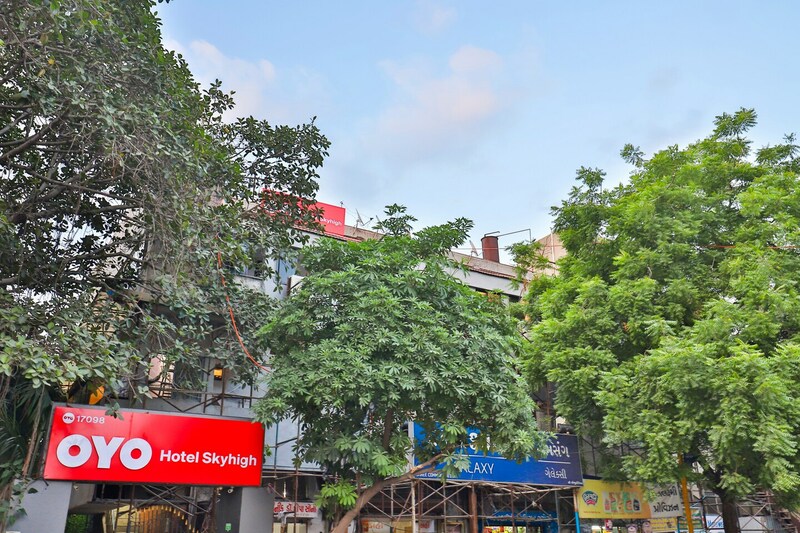 Hotel SkyHigh is suitably located in the heart of Ahmedabad city. The property offers a number of basic amenities for a comfortable stay. The rooms are spacious with artful decorations. Additional facilities like free Wi-Fi and parking are available for the guests. Restaurants in the vicinity with varied cuisines choices satiate the taste buds. Tourist attractions such as Jhulta Minara Sidi Bashir Mosque, Dada Harir Vav, Teen Darwaza, the Kamla Nehru Zoo and the Kankaria Aquarium are just a short ride away. The Calico Museum of Textiles is nearby where visitors can learn more about the history of Indian fabrics.